Elly Kleinman is President and Chief Executive Officer of the Americare Companies, a healthcare establishment that provides a wide range of services such as home healthcare and rehabilitation, encompassing professional paraprofessional and ancillary support and international nurse recruitment services. Ever since its establishment he has led the company, supervising all aspects of management and strategy. Elly Kleinman Americare aims to help people looking for high-quality, compassionate home care rehabilitation and therapy services as well as healthcare staffing programs. He was born in 1952 as the son of two European emigrants, who left their home country because of the Holocaust, and permanently moved to America. Elly Kleinman grew up in Borough Park, and he graduated from Brooklyn College with a Bachelor’s degree in Psychology. Pretty quick he started working and has since built a prosperous career in the home healthcare industry. In 1982 he founded The Americare Companies in New York and has helped expand the company’s efforts in the community. Elly Kleinman is now known as one of the best leaders in the health care industry with over three decades of professional experience and he still serves as the head of the company building new corporate sponsorship relationships. His involvement in many cultural and charitable pursuits has helped him maintain his strong community presence. In addition to that, he is involved in the Jewish religious and communal life, stretching from education and publications to social services. Elly Kleinman, Americare Companies founder has sponsored and helped many organizations, events charities and causes. As a strong supporter and activist of the Jewish community, he works closely with elected officials on the local and national level, both here and abroad. 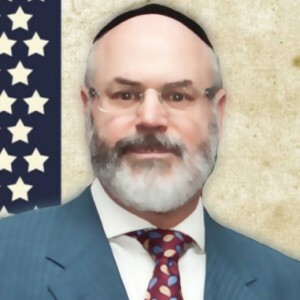 He has served as the chairman of several organizations; he is still the Co-Chairman of OHEL Board of Directors, and Chairman of Camp Kylie Board of Trustees. Elly Kleinman is also the founder of KFHEC, a public museum and an organization in memorial to the Holocaust. This organization is devoted to honoring the Jewish heritage and those who remained loyal to the legacy. At the same time it presents the history of the Holocaust, enabling people of all religious or faiths to learn more about this horrific chapter of humanity. In an interview for WSJ, Elly Kleinman announced the opening of a new Holocaust museum in Brooklyn.